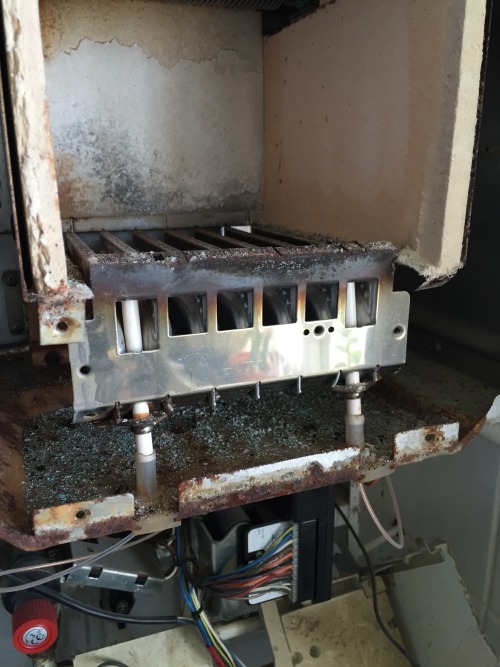 We came across this boiler whilst carrying out a boiler service for a landlord. The boiler had just very recently been passed on a Gas Safety Inspection but as you can see the condition is awful, it had been leaking for some time and the burner was not aligned correctly. Due to the rust around the combustion chamber seal and the heat damage from the incorrect insulation board fitted on the right, it was deemed beyond economical repair so the customer asked us to install a new boiler. 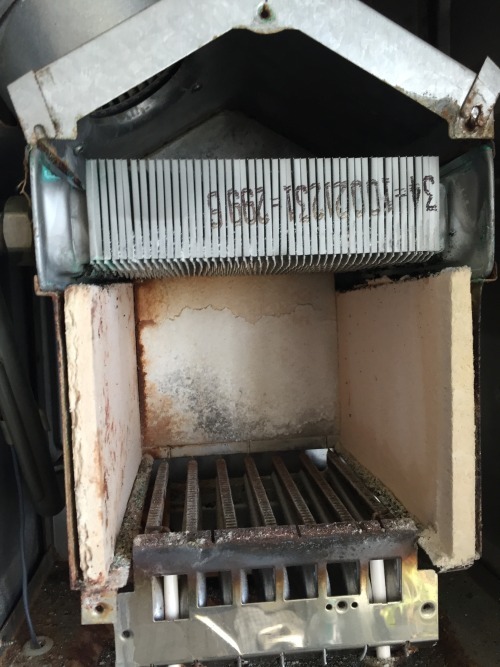 As we always service the boiler when we carry out a Gas Safety Inspection this boiler would have probably lasted many years more with a thorough annual service.